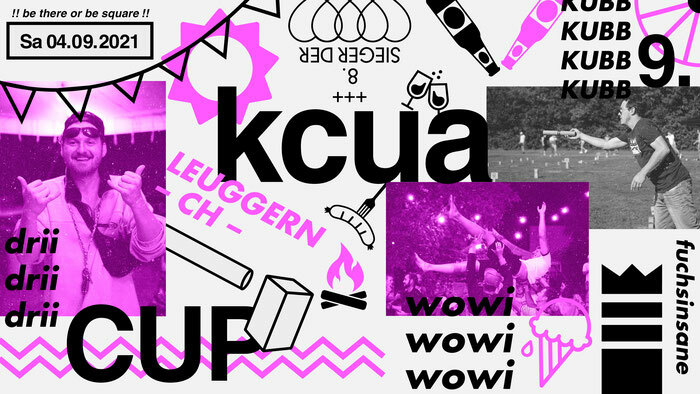 On the 17th of August 2019 the KCUA CUP will take place for the 7th time. The tournament will be played in two separate categories: The KCUA CUP and the 'Sieger der Herzen'-Turnier, which is for newcomers and people who don't play very often. The best tournament of the year from 2013, 2014, 2015, 2016, 2017 and 2018 (awarded by the Swiss Kubb Association Kubbtour) will take place on the sports ground of the Bezirksschule Leuggern. Here you find how to get there. The tournament starts at 09:00 am sharp. Please register your team until 08:30 am. A team consists of a minimum of 3 players. Food and music will be provided. The starting fee consists of 30.– CHF per team. It is possible to camp out at the tournament area. Showers and toilets will be provided. Application deadline: 12.08.2019, 20:00 pm!! We're excited to see you soon! 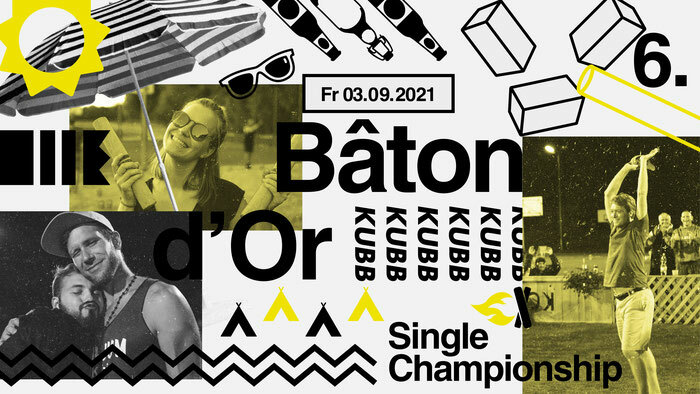 On the 16th of August 2018 (the evening before the KCUA CUP) the Bâton d'Or – the KCUA Single Championship will take place for the 4th time. The best single player will be crowned in a sudden death mode. Here you find how to get there. The tournament starts at 7 pm o'clock sharp. Please register until 6:30 pm. Food and music will be provided. The starting fee is 10.– CHF per player. It is possible to camp out at the tournament area. Showers and toilets will be provided. The tournament will be played in sudden death mode from the very first round (Best of 3, Best of 5 from the round of 16 on). The rules of the Swiss Kubb Association apply to both tournaments. ++ The game will be finished by a Sureshot, i.e. a shot between your legs. ++ From this year on it is not allowed anymore to step into the field while throwing (before the throwed stick stopped moving). ++ In the KCUA CUP the teams need to rotate with throwing in the kubbs (in teams with more than 3 players: at least 3 players have to throw in the kubbs), in the Sieger der Herzen tournament it is possible to let only one player throwing in the kubbs.